Welcome home to 1016 Raider Lansing, MI 48912. First time homebuyer or those looking to downsize this is just the home for you! Located on a dead end this ranch home has been well cared for – 17 years of true pride in ownership! Escape the hassle of fixer-uppers with this 2 bed 1 bath has many updates – Move right in! Updates include, new hardwood floors throughout, newer windows, newer furnace, newer air conditioning system, and updated bathroom. The main level features an eat in kitchen, both bedrooms, as well as a nice sized living room. Full and partially finished basement features a family room, office or den, large laundry room! Deck out back is great for barbecuing and entertaining, fenced in yard provides a safe play space for kids or pets. 1.5 car detached garage provides vehicle shelter as well as storage space. 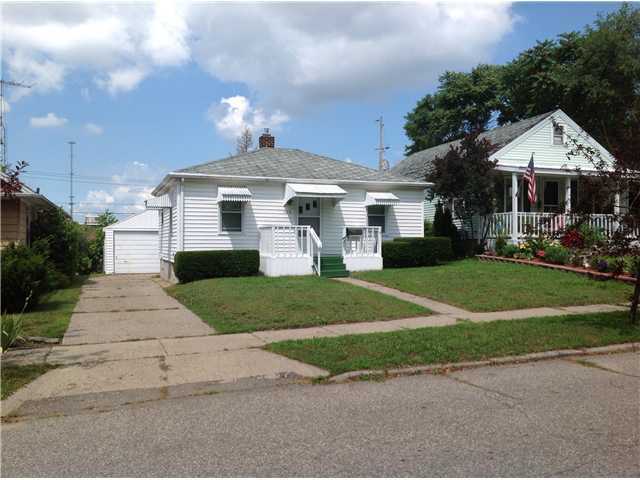 This home is conveniently located near highways 4-96. 1-27, and I-96. For additional information on this property click here! Posted on July 18, 2013, in All Other Listings. Bookmark the permalink. Leave a comment.